Always amazed, thankful and delighted to have wildlife visit. It is such a privilege that they feel safe and relaxed in our garden. Sadly the numbers of wallabies who come now are much depleted as, over the years, many have become statistics of road kill. Currently we have only one regular, a young female and her first joey. Her joey is still tiny but so curious and itching to leave the pouch and explore the world. 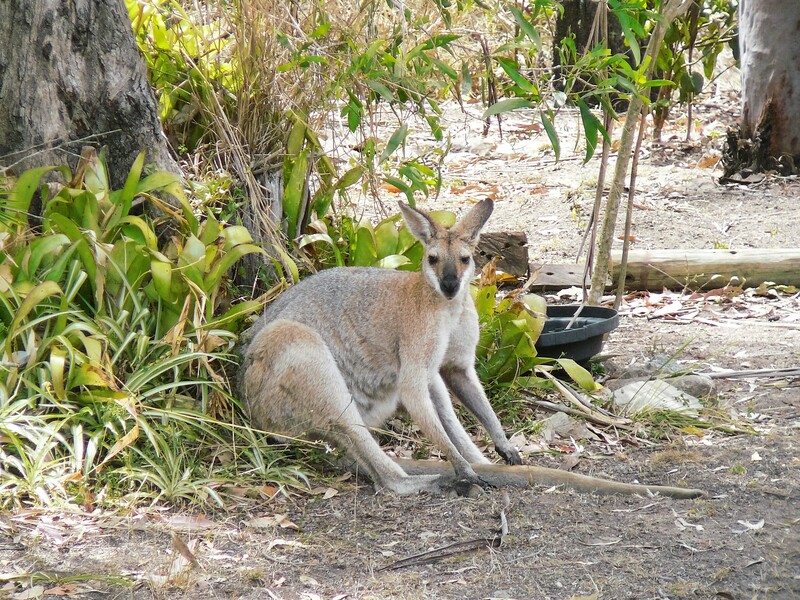 When the joey first leaves the pouch, after inital hesitation and staying very close to mum, they try their legs almost becoming airborn as they tear around the lawn in ever widening circles so full of joy in discovering their newfound freedom. To us a poignant reminder of how precious and wonderful life is.